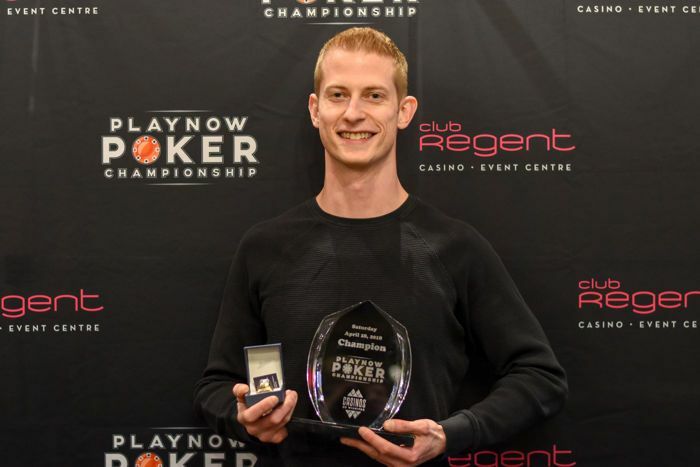 The 2018 edition of the Spring PlayNow Poker Championship ran four events last week, and the new poker room at Club Regent Casino in Winnipeg got some heavy use. Poker players came in from across Canada to compete for poker supremacy. 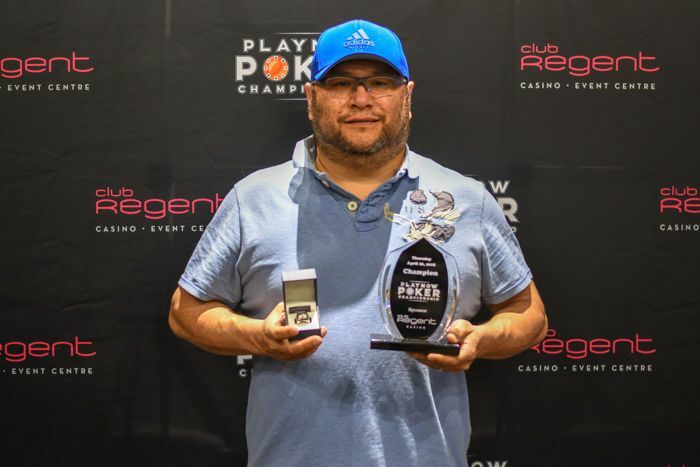 Mo Shulu, poker room manager at Club Regent Casino, said the team was "very pleased with the turnout for our spring version of the PlayNow Poker Championship." He noted the record number of players in the Main Event, and was especially pleased to see an increase in the number of players travelling into Manitoba for the series. "Seeing an increase in out-of-province players is a great sign that our product is making more impact, and hopefully trending toward being a destination in the western Canada poker circuit!" 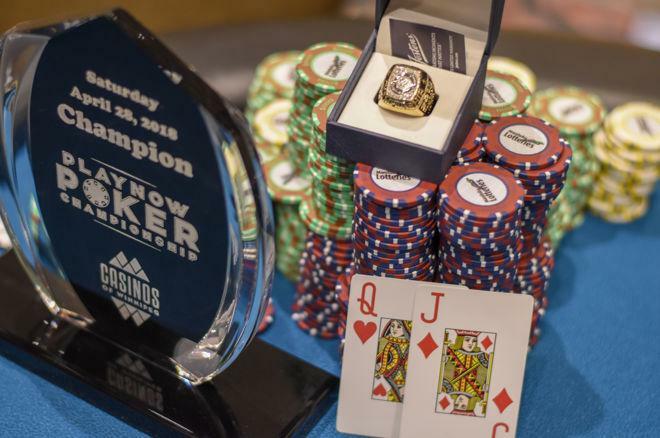 It was pretty clear the series was going to be success right from the start, when close to 300 people showed up on Wednesday, the first day of the series, to compete for Main Event tickets in a $120 Satellite tournament. In the end, 292 entries were recorded before late registration closed, and 29 players walked away with $1,100 Main Event tickets. The series proper got underway on Thursday with the $600 kickoff event, and an impressive 204 entries were recorded before registration closed. That put more than $100,000 into the prize pool of the first event, another early sign of success. After a grueling day that ended in a six-way chop after the final table threatened to extend beyond the hard closing time of the casino. When the decision was made to stop play on the final table to return and finish it out the next day, the exhausted remaining players decided to chop the money instead. Based on the chip stacks at the time, Marcel Pruden took down the trophy and the top chop of $15,713. It was Pruden's second win and fourth cash at a PlayNow event. The next day was knockout day in Winnipeg. With the buy-in set at $300 to encourage reentries, and a structure that encouraged players to get their chips in early and often, the $300 bounty event saw chips and bounties flying right from the very start. When the dust settled on the reentry period, a massive 331 entries were recorded, building a prize pool of $74,475, with a further $16,550 worth of bounties to hand out. It was one of the out-of-province players that Shulu was so happy to welcome who was the last player standing at the end of the day. Phil Riley, from Drinkwater, Saskatchewan, is a regular feature at final tables elsewhere, and he notched his first PlayNow win by taking down the bounty event after making a deal at the end. It was his third career win overall, and the $13,302 prize pushed his career earnings over $200,000. Saturday was devoted to Day 1 of the $1,100 Main Event, and the 192-entry field was a record for a PlayNow Main Event. Players played 15 levels of 45 minutes each before the remaining 35 players bagged up their chips for Day 2 on Sunday. The final 35 players returned on Sunday with Dave Shiska emptying the biggest bag of chips. He was the only player to start Day 2 with more than 300,000 chips. He was able to play that stack into one of the 20 cashing positions, but ended up 14th overall for a score of $3,021. The player with all the chips at the end in the marquee event was local Winnipeg player, Shaner Yo. Yo came within striking distance of the title twice before, finishing third in the Main Event in the 2016 fall series, as well as the 2015 spring series. This win, worth $51,088, was the biggest live cash of Yo's career, and in addition to the cash, the trophy, and the championship ring, Yo's win also bagged him the points race title, which means he also won tickets to every event in the 2018 Fall PlayNow Poker Championship. Starting an hour later and running alongside Day 2 of the Main Event, a $400 tournament gave players one last chance to grab some tournament cash. 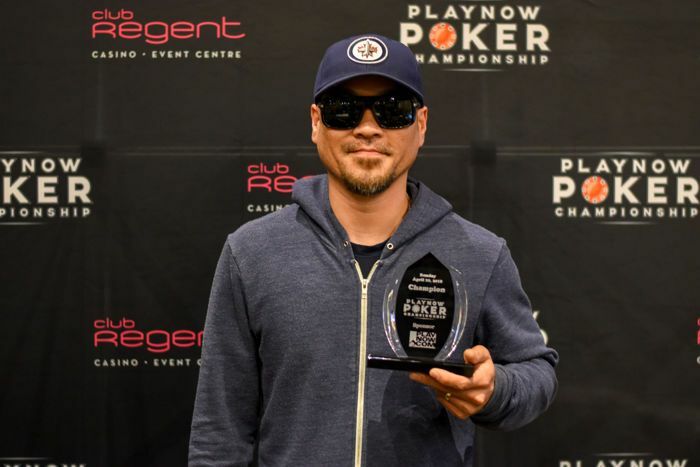 When registration closed, 148 buy-ins combined for a prize pool of $55,500, with the top 15 sharks pocketing a piece of the money After about 12 hours of play, Khai Nguyen took down the final trophy from Club Regent Casino for this series. The final five players agreed to a chop of the money, but played it out for the trophy, and Nguyen was able to grab both the trophy and the largest share of cash: $9,850. With over $400,000 in prizes awarded throughout the week, the 2018 Spring PlayNow Poker Championship broke attendance records. Manitoba Liquor & Lotteries spokesperson Casey Van Den Bosch expressed pride in the event. "We are always proud to see how our poker team comes together for the PlayNow Poker Championship. We had a lot of positive feedback from both out-of-town guests and local players, which is great for the growth of the tournament. Introducing the PlayNow Player of the Series award brought another level of competition to the event this year, and our team has more in store for future events." 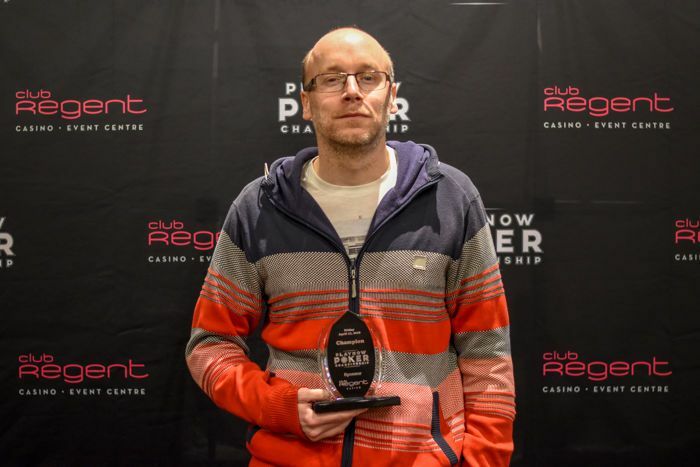 With the new, large poker room in the Vegas-style Club Regent Casino, the twice annual PlayNow Poker Championship looks set to take its place as one of the premier stops on the western Canadian poker circuit.